As a photographer we have a responsibility to the subjects we work with to make sure that the subjects are not harmed while making the photos. There are many rules in photography that we think are important and while some are always held true some can be fudged as we become better masters of our craft. This is the one that we can’t break. No photograph is worth the well fare of the subject. 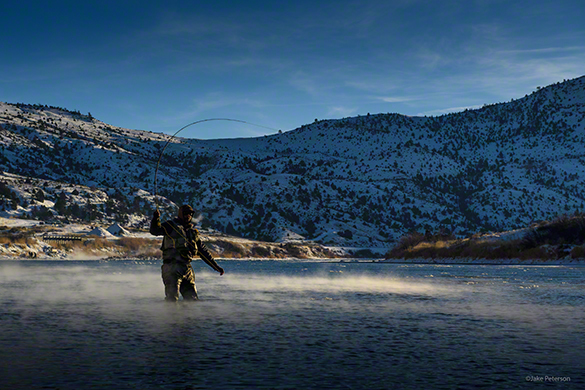 Over the last few years I have branched out into the realm of fishing photography and in this field, speed is key. Aquatic species are very fragile when they are taken out of their home because they don’t have lungs. They can’t breath the same air as we do. Fighting a fish, handling a fish and holding the fish out of the water all can reduce the life span of the subject. This is why if you’re planning on taking that all important keep sake photo that you get the subject in fast, you don’t handle it much and you keep it in the water as much as possible. This is how you do a safe release, which is key.